Spaceballs, the nastiest beings in the universe, have decided to kidnap the beautiful Princess Vespa. But she’s already run off from her wedding and is speeding away in a Mercedes space coupe, accompanied by her robot, Dot Matrix. Meanwhile, our hero, Lone Starr, threatened by terrible Pizza the Hutt, is flying his Winnebago as far away as possible. Will the wicked Spaceballs, led by dreadful Dark Helmet and Colonel Sandurz, seize the princess? Or will Lone Starr and his friends save the Princess from a fate worse than death!? 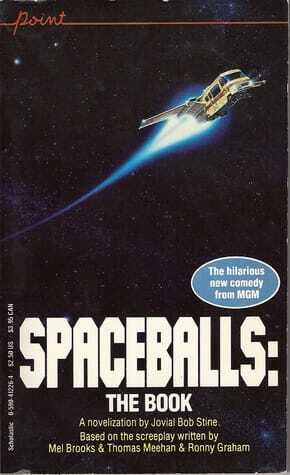 Don’t miss Spaceballs: The Book! Slant the Cyborg Warrior had been ordered to kill the enemies of Earth and return with their weapons technology. His robot spacecraft was to see that he did―and kill him if he didn’t. Problem was―Earth had perished three hundred years before, and no one had told the ship. From early childhood, Derv Nagy was marked out as being different. His uncanny sense of direction, his compulsion to turn and turn again until he felt somehow right, and the slight but definite slant at which he stood—all set him apart. Only his parents knew why Derv was unique among Earth’s billions—and they were determined that their son would never learn the truth. Mark Hardin takes on one of the most explosive challenges of his career―on foreign turf. Crazed rebel students, under the banner of the self-styled prophet Ayatollah Kohbali, have gone wild and imprisoned a staff of American diplomats in the consulate―an impenetrable compound. A mysterious KGB agent―in skirts―is taking orders from the Kremlin and passing them on to the rebels. Somehow, she’s always one step ahead of the Penetrator and his special team of trained fighters―and Hardin smells a rat. He’s got to figure out―and fast―how to match sharp wits against raw violence if he’s ever going to break through the wave of Muslim madness! Young, untried, but a lethally trained fighter, Zelde M’Tana found herself legally shanghaied by the oppressive UET―imprisoned on a starship bound for the brothels of a mining planet. There was no way Zelde was going to stand for that―and when the ship’s first officer, Parnell, led an anti-UET revolt, Zelde joined the mutineers and single-handedly turned defeat into victory. First as Parnell’s lover, then as his assistant, Zelde was mistrusted by the crew―but when the UET struck once again and Parnell died, there was only one choice for Captain: Zelde M’Tana. 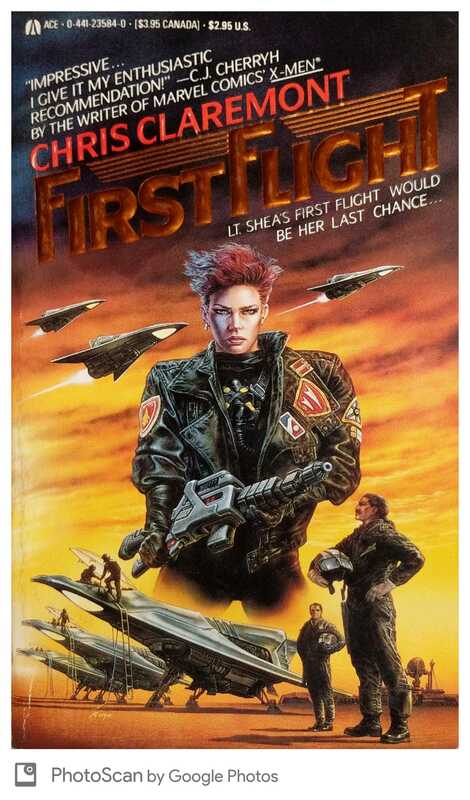 Pungent and vivid as its heroine, ZELDE M’TANA is a gripping epic of spacefaring, battle, and human conflict. THE COMBAT OPERATIONS POLICE COME ROARING IN! A special enforcement unit made up of the toughest, bravest, and most cunning street-smart fighting men, using the best in weaponry―including Andy Jumbles, an android, indestructable against bullet, dynamite, or laser. They are heading right into the deadly shadows of Manhattan to stomp the human trash that rules the dark―and give the city back to its people! 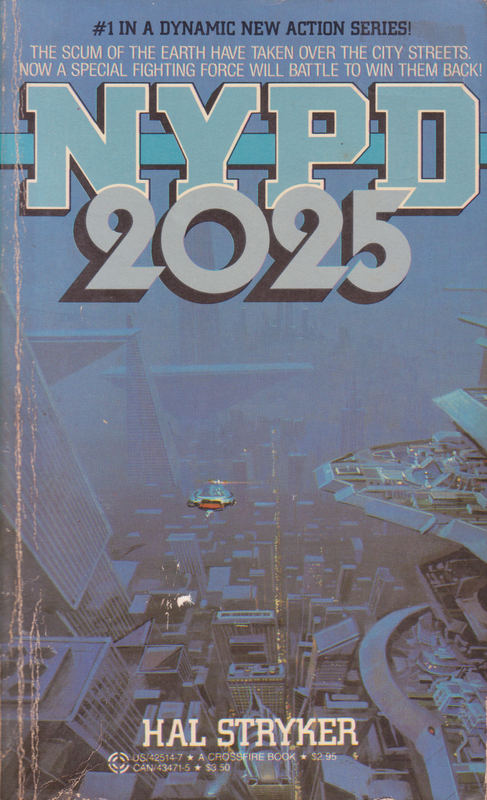 2042—Not a good year for Mundito Rosinante. As the space colony’s orbit drew it farther from Earth, the tiny world’s troubles just seemed to grow. It was caught up in the power struggle between the Japanese and the successors to the U.S. Citizens revolted. Robots got uppity. Someone even threw a grenade at Governor Cantrell! 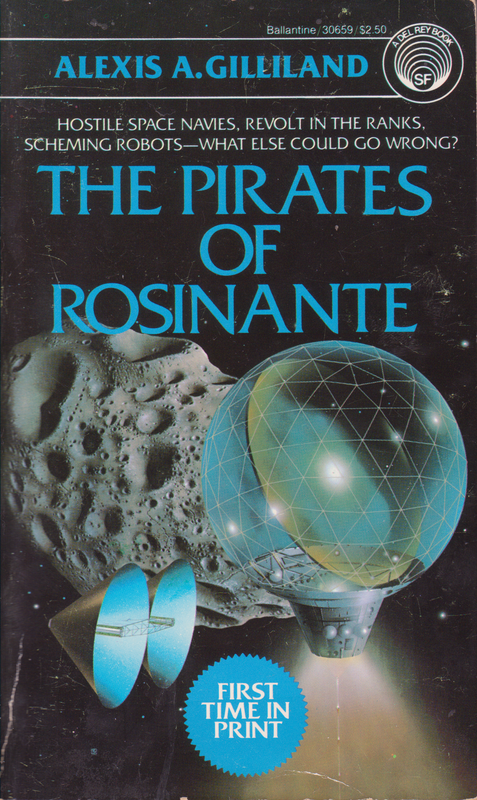 If Rosinante was to survive, Cantrell would have to act fast and think faster. Well, at least the robots thought he had God on his side. Laneff Farris is an anomaly—an ordinary RenSime in a family of highly skilled channel Simes and Companion Gens dedicated to uniting the two branches of mutated humanity. Unexpectedly changing over into a Sime, she kills the two who try, unprepared, to help her. 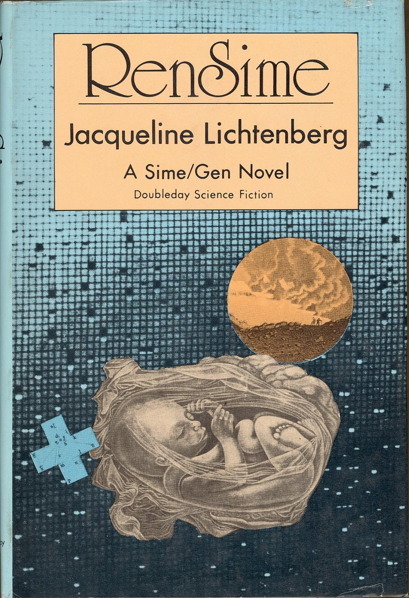 When she finally disjuncts, frees herself of the desire to get energy-of-life from Gens, she vows no other child will have to kill to survive changeover as she has. Now, through her biochemical research, Laneff believes she has the key, though no one can duplicate her synthesis. The head of the powerful House of Zeor supports her, but she has fallen in love with his mysterious ex-gypsy companion, Shanlun. If her research succeeds, humanity will be reunited at last. But is the world ready? Many fearful extremists say “No!” And to prove it, they entice Laneff to kill again—publicly. Rescued by an underground leader, given a lab and a few months to live, Laneff struggles to complete her research as she becomes deeply attracted to her benefactor. Then Shanlun reappears, claiming she can survive a second disjunction and marry him. But when he discovers she’s pregnant, he tells her his method will abort her child. Can Laneff survive to bear her child, finally come to terms with herself as a RenSime, and still help the cause of Unity?